ALS Research Forum | Excess Glutamate, Low Oxygen: Can Common Enzyme Mask Effects? Excess Glutamate, Low Oxygen: Can Common Enzyme Mask Effects? Drought and deluges are rarely good. In the brain, too little oxygen or too much of the neurotransmitter glutamate are both bad news. But there is a potential savior. The enzyme nicotinamide mononucleotide adenylyl transferase (Nmnat) is known to protect axons in the peripheral nervous system. Writing in this week’s Proceedings of the National Academy of Sciences, researchers at Washington University, St. Louis, Missouri, extend that protective role to cell bodies as well as axons, and to the central as well as peripheral nervous system. The authors, at Washington University in St. Louis, Missouri, discovered that Nmnat prevents neuron loss in a mouse model of neonatal oxygen deprivation, or hypoxia, and protects against the toxic effects of excess glutamate, a major neurotransmitter in the brain. The researchers are now looking for clues to how the protection works in the hopes of turning their discovery into a treatment for not only oxygen loss, but perhaps other disorders as well. Glutamate excitotoxicity is thought to be a factor in neurodegenerative diseases such as amyotrophic lateral sclerosis (see ARF related news story on Aizawa et al., 2010 and Cucchiaroni et al., 2010) and Alzheimer’s (see ARF related news story on Li et al., 2009 and ARF related news story on Shankar et al., 2007 and De Felice et al., 2007). Nmnat1, which is normally found in the nucleus, helps make the metabolic coenzyme nicotinamide adenine dinucleotide (NAD). Its potential neuroprotective role emerged when researchers discovered it was part of the mutation in the slow Wallerian degeneration mouse (Wlds). Wallerian degeneration, or the dying back of severed axons, normally takes 48 hours, but stretches for weeks in Wlds mice (see ARF related news story on Mack et al., 2001 and Wang et al., 2001). Study coauthor Jeffrey Milbrandt, at Washington University, has been researching axonal degeneration for several years, looking for ways to interfere with the process, which is often an early step in neurodegenerative disease, he told ARF. He and lab member Yo Sasaki developed a mouse that overexpresses a cytoplasmic-localized version of Nmnat1, which strongly protects peripheral axons from injury (Sasaki et al., 2009). They wondered if the transgene would also be protective in the hypoxia model system of Milbrandt’s close friend and colleague David Holtzman, senior author on the paper. First author Philip Verghese led the work in Holtzman’s lab. Hypoxia can occur in newborns—for example, if the umbilical cord cuts off blood flow or the placenta detaches from the uterus too early—and can cause brain damage or cerebral palsy. Similarly, in older people, strokes cause temporary loss of oxygenated blood flow in the brain, causing neurodegeneration. Holtzman’s model entails tying off the left carotid artery in seven-day-old pups and placing the mice in low oxygen (8 percent) for 45 minutes. The thin air, combined with reduced blood flow, causes brain damage on the left side of the brain; the right side receives sufficient oxygen to remain undamaged and provides an internal control. Normally, this treatment causes swelling in the brain, which appears on magnetic resonance images as a hyper-intense signal. But in mice overexpressing Nmnat, there was little swelling. That was very striking, said Holtzman, who has worked with the model for several years and rarely seen such extensive protection. A week after inducing hypoxia, the researchers sacrificed the mice to measure the volume of different areas of their brains. They calculated the tissue loss in the damaged left side as a percentage of the volume of the undamaged right side. In wild-type mice without Nmnat overexpression, hypoxia shrank the brain. The volume of the hippocampus was reduced by more than one-third, the striatum was 15 percent smaller, and the cortex and thalamus lost 6 and 5 percent of their normal volume, respectively. While the Nmnat transgenic mice suffered tissue loss as well, it was attenuated. Their hippocampus loss was less than one-fifth, their striata lost only 12 percent, their cortexes less than 1 percent, and their thalami 3 percent. The researchers are now planning to test the mice when they are older for behavioral deficits. In several previous studies, Nmnat has been shown to prevent axon decay (e.g., Sasaki and Milbrandt, 2010). But Milbrandt, impressed by the dramatic tissue preservation, hypothesized that cell bodies, too, must be spared. The researchers used an in-vitro system to look for protective effects. They cultured embryonic cortical neurons from the mice and measured release of lactate dehydrogenase (LDH) into the culture media, a common test of neurodegeneration. The researchers exposed these cultures to toxic concentrations of N-methyl-D-aspartic acid (NMDA), which binds glutamate receptors and mimics glutamate excitotoxicity. Twelve hours later, control non-transgenic cells had spewed out LDH, indicating they were dying. Cells from the Nmnat mice produced only one-third as much LDH, suggesting whole cells, as well as the axons, were protected from the excitotoxic effects. How does Nmnat do it? Overexpression of the enzyme might generate more NAD—but the researchers found that levels were similar between transgenic mice and their wild-type littermates, suggesting more of the metabolic factor is not the protective mechanism. Plus, in their earlier experiments with these mice, Milbrandt found that increasing NAD levels does not replicate Nmnat’s protective effects (Sasaki et al., 2009). The researchers also considered that Nmnat could somehow block apoptosis. But in the hippocampus, the activity of caspase-3, which initiates cell death pathways and ramps up after hypoxic injury, was also similar between the Nmnat and wild-type mice, suggesting Nmnat did not stop apoptosis from starting. But it might keep it from proceeding. I am intrigued by the fact that [Nmnat] tissues show a huge increase in caspase-3 activity but still survive, wrote Michael Coleman of the Babraham Institute in Cambridge, U.K., in an e-mail to ARF. I think this actually raises the question of whether [Nmnat] is blocking a step downstream of caspase-3. It is hard to imagine that this increase in caspase-3 activity makes no contribution to cell death. Coleman was not involved in the PNAS study. As of yet, it is unclear how Nmnat halts apoptosis, said Milbrandt. Another option, raised by Hugo Bellen of the Baylor College of Medicine in Houston, Texas, is that Nmnat acts like a chaperone to prevent neurodegeneration (Zhai et el., 2008). Nmnat seems to bind non-selectively to many different proteins and ensures that the proteins are properly folded, said Bellen, who did not participate in the current work. Work in flies predicted that Nmnat protects cell bodies and central nervous system cells in vertebrates, Bellen added (see ARF related news story on Zhai et al., 2006; Zhai et el., 2008). Could the finding have any practical benefit? The only approved treatment for neonatal oxygen loss is therapeutic hypothermia. The effect of Nmnat is at least as good as hypothermia, Holtzman said. However, neonatal mouse models often suffer variable damage that is highly strain dependent, noted Lee Martin of Johns Hopkins University in Baltimore, Maryland, in an e-mail to ARF. It will be extraordinarily important to get this work translated to large animal models of neonatal [hypoxic injury] to fully determine its relevance, wrote Martin, who was not involved in the study. Since glutamate excitotoxicity is broadly tied to neurodegeneration, Nmnat-based treatments might be useful in diseases of aging, too. For example, Nmnat overexpression protects neurons in a mouse model of tauopathy (Ljungberg et al., 2011). Milbrandt’s group is performing high-throughput screens to look for small molecules that might mimic the effects of excess Nmnat, or at least identify the pathways involved. Verghese PB, Sasaki Y, Donghan Y, Stewart F, Sabar F, Finn MB, Wroge CM, Mennerick S, Neil JJ, Milbrandt J, Holtzman DM. 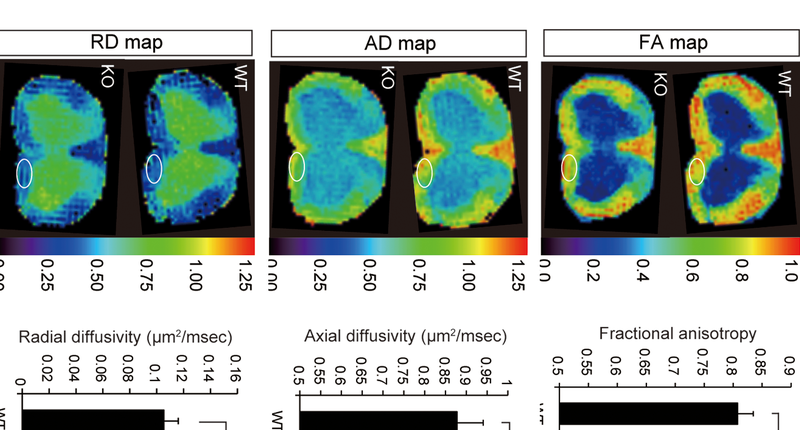 Nicotinamide mononucleotide adenylyl transferase 1 protects against acute neurodegeneration in developing CNS by inhibiting excitotoxic-necrotic cell death. PNAS Early Edition. 2011.